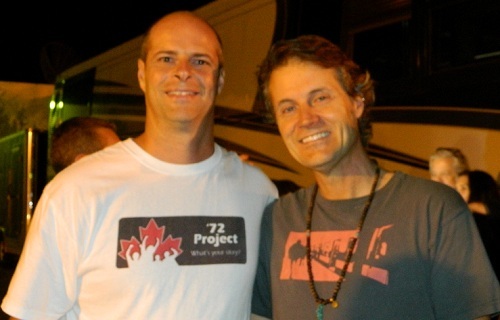 Long before the Band Blue Rodeo was on the radar, Jim Cuddy and Greg Keelor both happened to attend North Toronto Collegiate Institute (NTCI). At that time, Jim knew of Greg through football as an aquaintance and also knew he was a ‘hockey guy’. “I was a Toronto Maple Leafs fan and Greg like the Canadiens. The guys I cheered for included Frank Mahovlich, Davey Keon and Carl Brewer,” Cuddy states. Of course, Greg has a unique story regarding the ’72 Team at Maple Leaf Gardens. Little did they know that they would share this great Canadian memory and later be inducted into the Canadian Music Hall of Fame as band members of Blue Rodeo. Editors Note: Things seemed to work out pretty well for him.